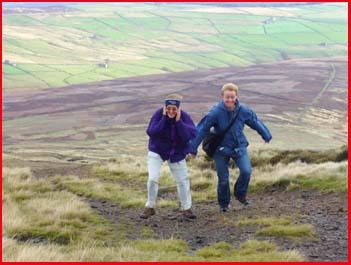 In the first instalment of Max's Blog, he tells us about his wild day out on the windswept Yorkshire moors in England, near the home of the famous literary family - the Brontës. "Hi there, Max here. 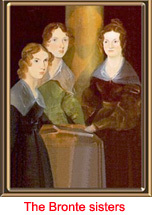 Ever heard of the Brontë family? No, neither had I, but then reading was never my strong point. I see myself as more of an action Schnauzer. 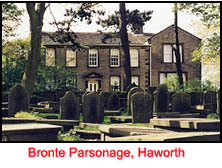 Anyway, the whole family - who lived in the 1800's - were cooped up in the isolated Parsonage at Haworth in West Yorkshire, England. Surrounded by dark gravestones and the bleak windy moorland, their imaginations ran riot. 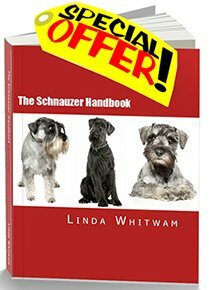 As a Mini Schnauzer, I knew nothing of this. 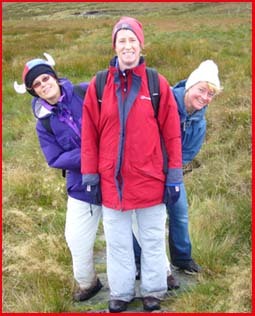 But what I DID know was that when Linda said she and some friends were going hiking on these Moors, I was NOT going to miss out. Here we are setting out for the day looking nice and clean. 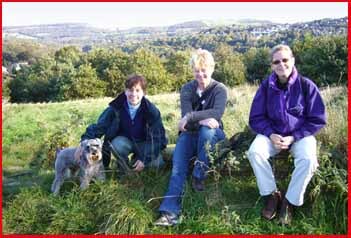 As you can see, I'm the only Schnauzer there, so I'm in charge of the whole group - naturally. 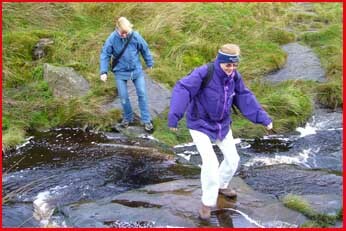 Things are getting a bit trickier as we head over water. Not for me, of course. 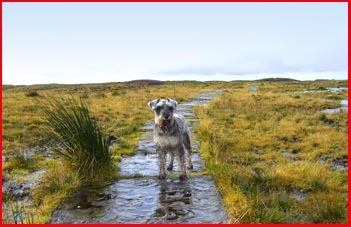 I don't know about you other Schnauzers out there - I know Philip (the Giant who won Crufts) loves water - but I hate the stuff. So 2 big jumps and I'm over and long gone in this shot......racing ahead as usual. Boy! 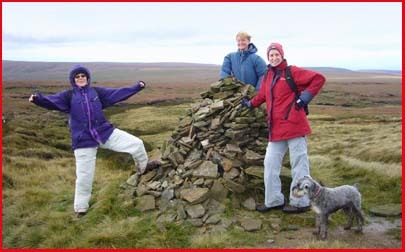 The wind is really whippping up as the gals head for Black Hill. Being a Mini Schnauzer really has a lot of advantages. One of them is my low center of gravity. I raced up this hill no problem - unlike the gals who were completely the wrong shape. 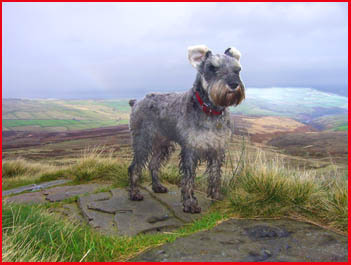 Here I am KING SCHNAUZER on top of Moors! It feels soooo... good to be alive!! 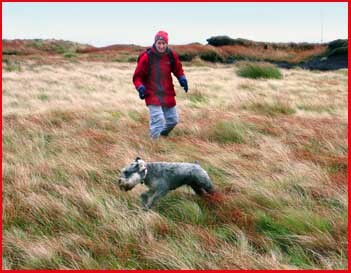 There's nothing a rugged and handsome Mini Schnauzer like me loves more than to be chaperoning the gals on a day out in the wide open countryside with the wind whistling through my Schnauzer ears! Come on the rest of you, hurry up.......What's taking you so long? Us Schnauzers may not be as big as humans, but we are definitely no slouches..... I've been waiting here for ages! 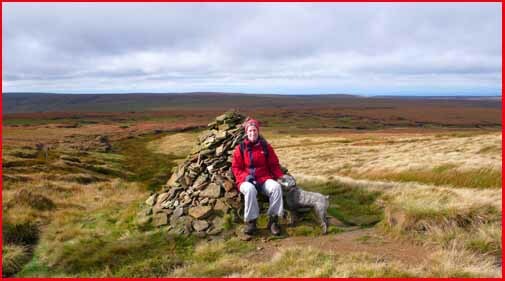 Although, I have to confess, whenever I get "out on the Tops" it sends me a bit daft too. I think it's the springy grass under my Schnauzer paws and the wind in my fur. When I get to the top, there's nothing I like better than running round as fast as I can in circles and ripping up the sods of earth with my bare teeth GRRRRRRRRRR!!!!!! No wonder they call me MAD MAX! We're starving! 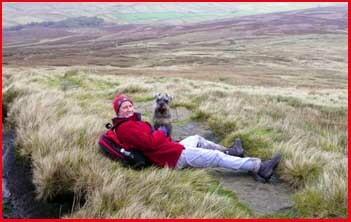 All that climbing hills and running about has made both Schnauzers and humans really hungry. 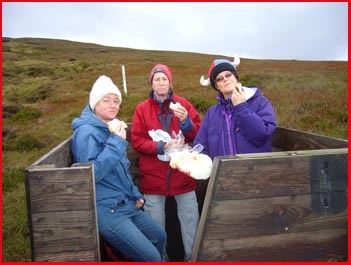 So we stop at a Michelin Star restaurant for a gourmet lunch!! before heading home. ARE YOU LOT COMING OR NOT? 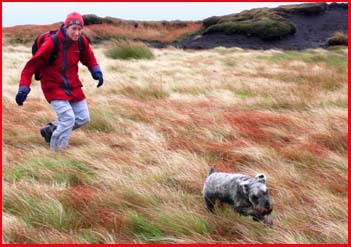 HOW EMBARRASSING for an action Schnauzer like myself to be seen in the buff! 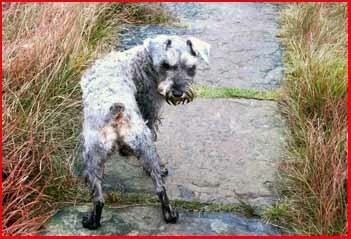 Will all you lady Schnauzers please avert your eyes. YUK!!! 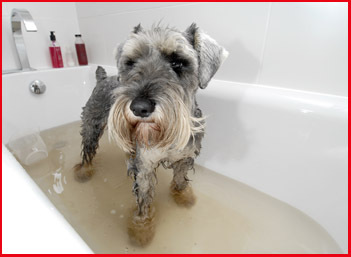 This is what every Schnauzer hates after a great day out. 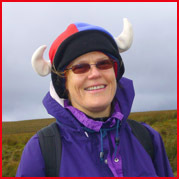 Tune into my next adventure - I think we're heading off to the Lake District - home of England's most beautiful scenery.